It is thanks once again to the lovely Sharon from Sunshine and Celandines for informing me of this Saturday’s #photoanhour challenge. I don’t use Instagram much, so here’s my photo an hour in blog form. It always seems that these photo an hour challenges fall on days when I have nothing planned! My Saturday began like every other day, with me getting up to make my breakfast. Granola and black coffee, a perfect start to the day! We visited my mum (next door) and spotted a lone daffodil standing proudly in her back yarden. Saturday is usually grocery shopping day but once we had unpacked the day’s purchases, David and I headed for the M62 and for garden centres/pet shops around Widnes. 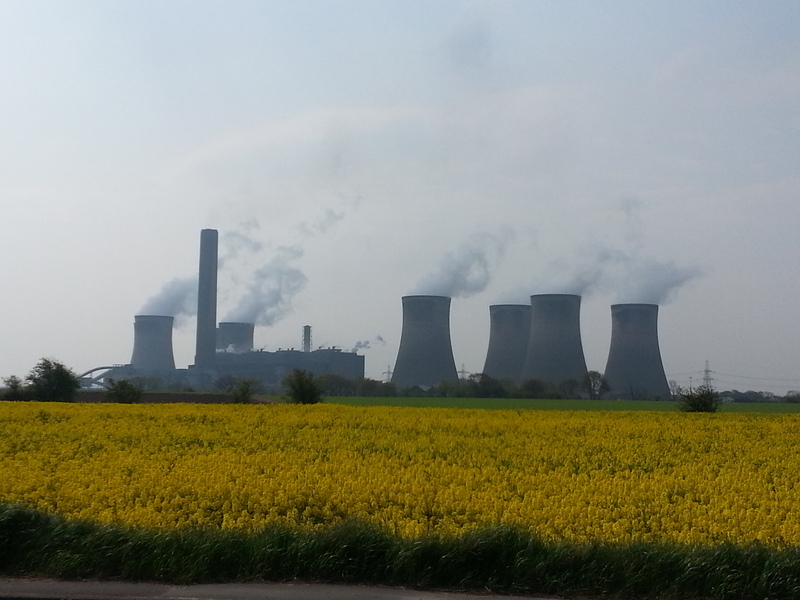 One of the garden centres we frequent, White Moss stands opposite the imposing Fiddlers Ferry (coal) power station. Sadly we did not find what we were looking for in Widnes, so we drove to pet shops in Warrington, before stopping at Clipsley Pets and Aquatics, in Haydock. We have been visiting Clipsley for the past three years and have bought most of our aviary from them. We visited today with just the intention of looking! With the sun trying to break through the clouds, David and I pottered about the yarden. I re-planted an Euonymus Japonicus which was looking sad at the front of the house. After doing some housework and before cooking the evening’s meal, I enjoyed a moment of calm by looking up at the clouds coloured by the setting sun. This evenings dinner was a one pot stuffed pepper casserole. I just substituted the beef with bulgur wheat and topped David’s off with a chicken breast. It made for a wholesome meal. I ended my photo an hour challenge by sitting in the living room and watched as the finches paired up and explored their new surroundings. How have you spent your Saturday? Easter Monday… a brighter day! Today was spent looking for abstract art for the garden and coming back with bird seed and plants! We visited Dobbies and B&M firstly. I find Dobbies quite expensive. I think we should have gone to Lady Green!! I still need a Phlox for the garden! Then David said ‘we’re close to Widnes and more garden centres’, so we put the satnav on and went to two other garden shops, however came back with nothing! David is still worrying about the TV and the chimney breast. It does not help with me freaking out, saying the whole chimney will cave in if not supported!! After lunch we visited B&Q in search of answers to David’s chimney problem and we came back with a Scabiosa and Lupin for the garden. I am happy now that there is lots of colour in the garden! I had voted for Samuel Barber’s Adagio for Strings, but it only got to number 15! Today was David’s 39th birthday!! We celebrated by going to garden centres near Chester with his mum, dad and sister. 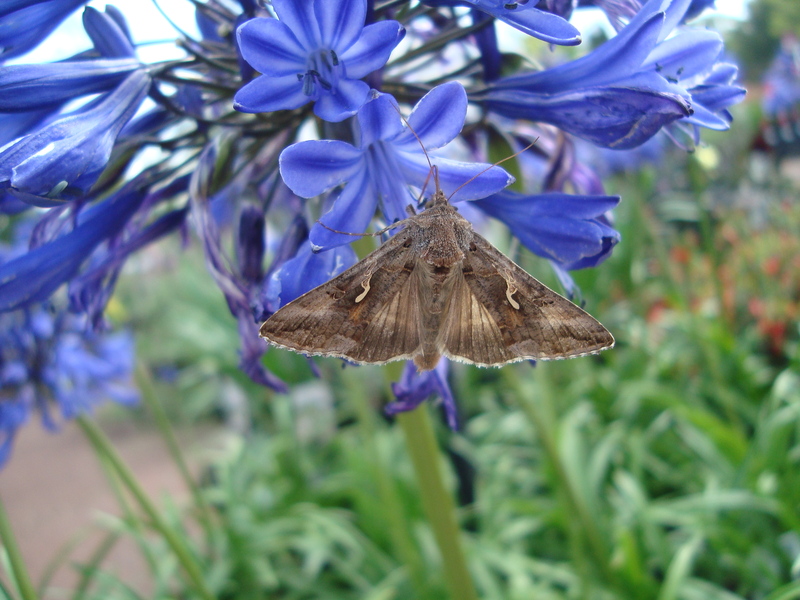 We have purchased lots of wildlife friendly plants for the garden. 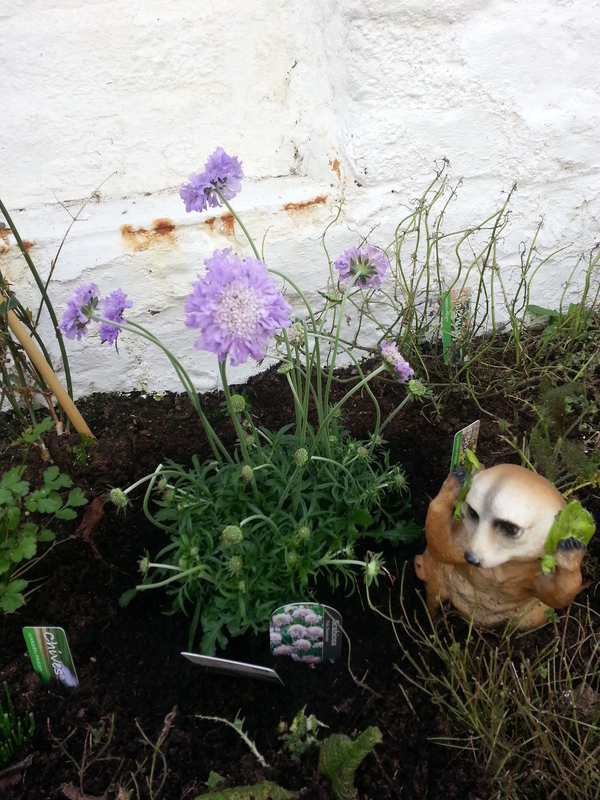 I am very happy with my small collection of herbs, amongst which I bought, Marjoram, Basil and Oregano. Today I came away from the garden centres with a Jasmine and a passion fruit! David got some plants for his alpine rockery. Amongst the plants I photographed a Peacock Butterfly, looking beautiful on a Buddleia and also spotted a Silver Y Moth! On the way back home we crossed the Runcorn Bridge and I had to get my camera out to film the footage!